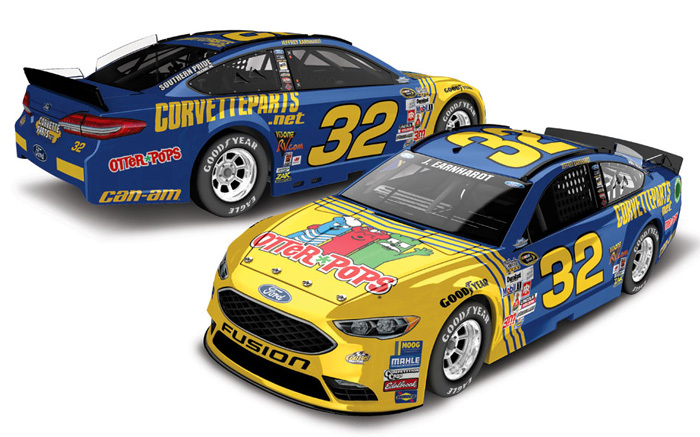 2016 Jeffrey Earnhardt #32 Otter Pops / Darlington / Ford Fusion NASCAR diecast, by Action. 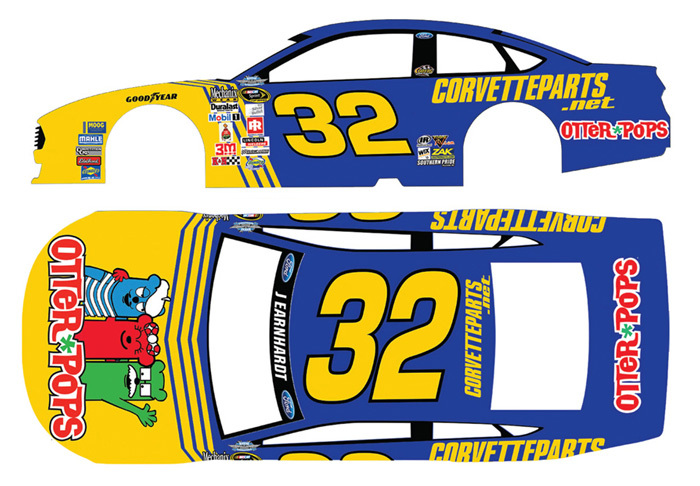 The Go Fas Racing #32 Otter Pops Darlington Ford was raced by Jeffrey Earnhardt in the NASCAR Sprint Cup, Bojangles' Southern 500 at Darlington Raceway on September 4, 2016. Earnhardt's blue and yellow ride replicates the paint scheme his legendary grandfather Dale Earnhardt raced during the 1981 NASCAR Sprint Cup Series season. 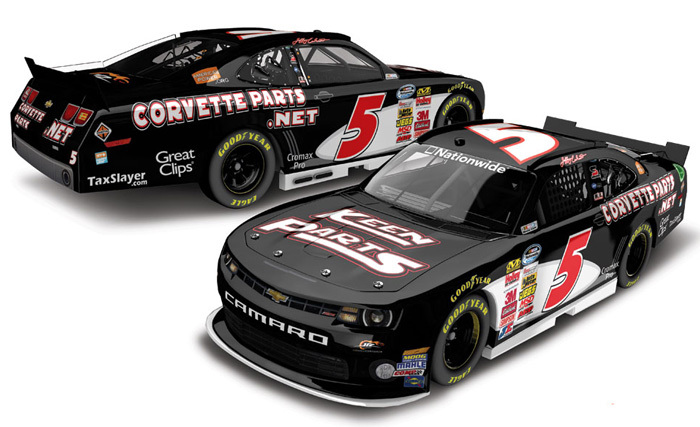 2013 Jeffrey Earnhardt #5 Keen Parts - CorvetteParts.net / Chevrolet Camaro NASCAR diecast, by Action. The JR Motorsports #5 Keen Parts Chevrolet Camaro was raced by Jeffrey Earnhardt in the NASCAR Nationwide, ToyotaCare 250 at Richmond International Raceway on April 26, 2013. Jeffrey Earnhardt is Dale Earnhardt Jr's nephew.